When you’re booking a food-themed holiday, there are a few destinations that are commonly considered – Spain, Italy, Mexico and Japan to name a few. But, if you’re looking for an amazing food and wine destination that is a bit more off-the-beaten-track, you should consider a trip to Israel and the Palestinian Territories. While there has been political conflict in some parts of this region, the majority of areas are very safe for travellers to visit. 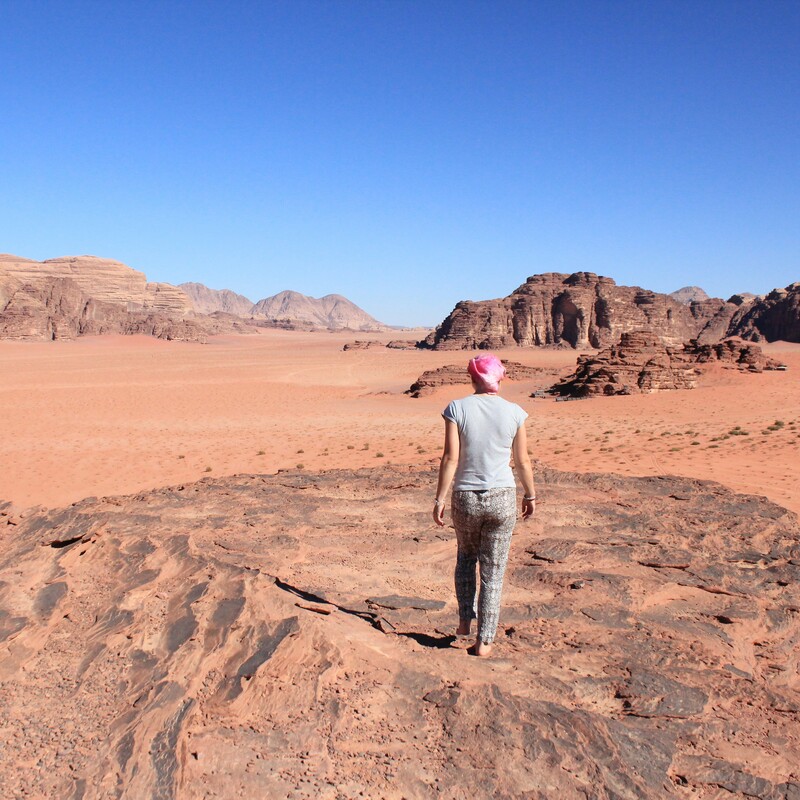 However, if you still have concerns about navigating the Middle East alone, you can always join a small group tour and be guided by a local leader who knows the highlights of this historic part of the world. The food in Israel is influenced by the diverse populations of the region, with Arabic and Jewish recipes and dishes both making up a huge part of the culinary landscape. From tabbouleh in Tel Aviv to baba ghanoush in Bethlehem – here are some of the amazing food experiences you can expect on a Journey Through Israel & the Palestinian Territories. Shakshuka. Image by Jenn Kosar via Unsplash. At breakfast in Israel, it’s hard to go past traditional shakshuka (baked eggs). 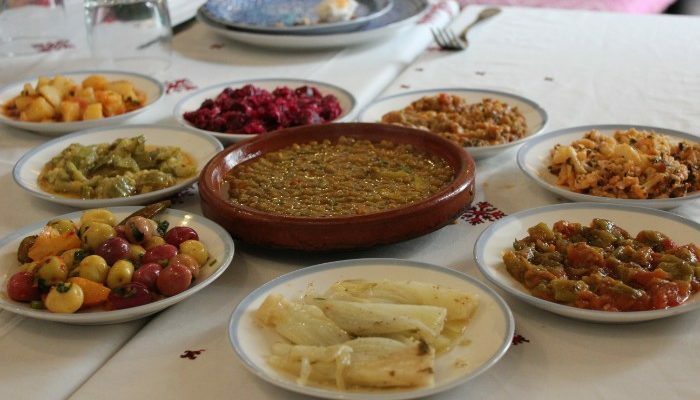 This dish has northern African roots but was brought to Israel by Jewish immigrants. 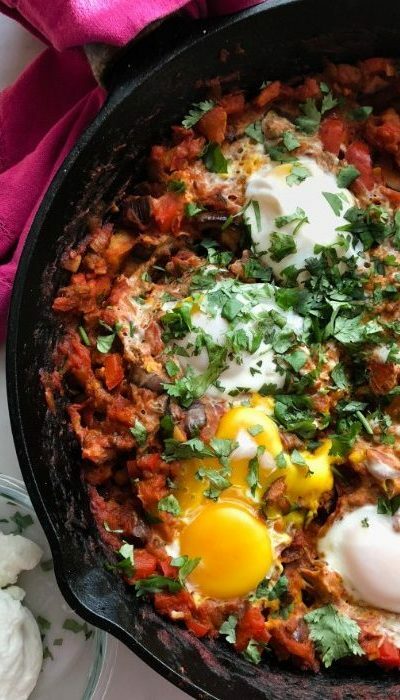 Israeli shakshuka consists of eggs baked in a clay pot with a tomato-based sauce and can include a variety of other ingredients like eggplant, onion, capsicum and spices such as cumin, paprika, garlic and fresh parsley. If you’re lucky, this dish will be served with pita bread, labneh and zaatar. Labneh is a mild-tasting soft cheese made from yoghurt, which has a similar consistency to dip and zaatar is a fragrant spice mix. We recommend spooning some labneh onto the shakshuka, scooping a mouthful on to the pita and then dipping it in the zaatar to get all the flavours at once. Yum. An assortment of Mezze. Image by Amy Foyster. Lunch is a literal smorgasbord in Israel, with Mezze being a popular choice at many traditional eateries. Mezze is a bunch of small plates that are shared by everyone at the table and are a great way to taste lots of different things. Common Mezze includes dips like hummus, fava bean and baba ghanoush (made from smoked eggplant), olives, pickled vegetables, meatballs, falafel and salads like fattoush and tabbouleh. However, the possibilities can extend to all sorts of different bite-sized meats, vegetables and cheeses – so you will have a different experience every meal. Dinner time in Israel will bring you lots of hearty meat dishes, but vegetarians need not fear – they’ll also have plenty of delicious choices. Along the beachfront in Tel Aviv, you’ll be spoilt for choice when it comes to seafood platters and whole, baked fish cooked in spices. 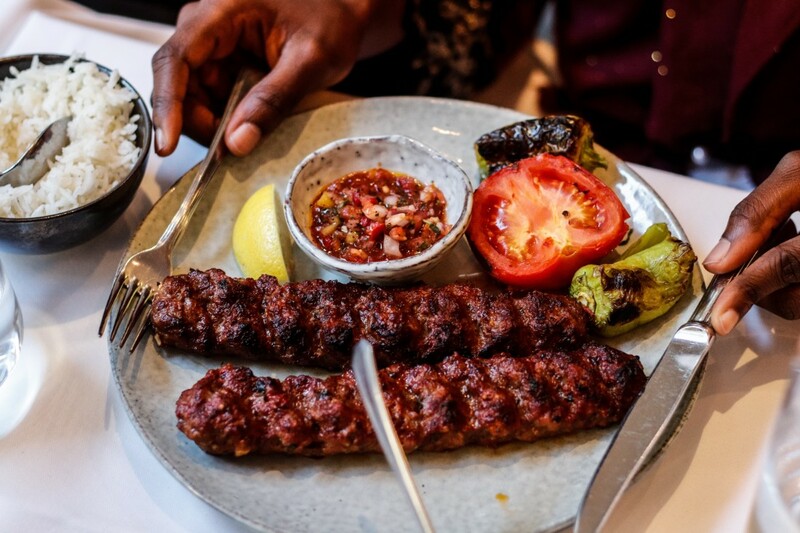 Otherwise, grilled shish kebabs or mixed grills of spiced chicken offal served with rice are commonly found. Musakkhan, a classic Palestinian dish of roasted chicken with onions, sumac and olive oil on whole wheat flat bread, traditionally accompanied by a yogurt salad, also shouldn’t be missed. If you’d rather opt for a plant-based meal, cauliflower, eggplant or artichoke baked in tahini and spices are signature dishes of the region. Colourful Israeli desserts. Image by Tristan Love. In between meals, it’s only fitting that you sample the wide range of treats on offer in Israel. 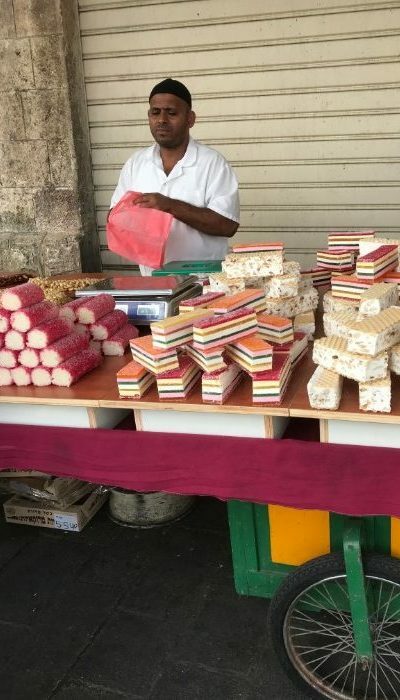 Mutabak is a famous sweet, known for its paper-thin pastry, stuffed with white cheese curds mixed with sugar syrup and then dusted in icing sugar to finish. One of the most famous places to try Mutabak is Zalatimo Bakery (it only serves Mutabak! ), in Jerusalem’s old city. It’s a tiny bakery, literally hidden in the old Roman walls and has been family-owned and run since 1860. Of course, Middle Eastern favourites like baklava and Turkish Delight are found throughout Israel too. Unlike some other Middle Eastern destinations, espresso-style coffee is readily available in most places – so you don’t need to worry about resorting to watery Nescafe for your entire holiday. As well as this, you’ll be able to try traditional Turkish-style coffee – it’s thick, strong and sweet and goes very well with a piece of sugary baklava or halva. Israeli wine may not be the first thing you pick up in your local bottle shop, but this region makes a drop that competes with the best Australian, French and Argentinian wines in the market. The Israeli wine industry was originally founded by Rothschild, a French vineyard owner and banker, so many of the wine-making techniques are rooted in the same traditions as those from Bordeaux. For those who enjoy a white wine, the Riesling in the area is renowned, or for red-drinkers, a Syrah is a popular choice. Do you want to taste the delights of Israel? Book a small group tour with Peregrine and your local leader will help you discover truly authentic cuisine of the region. Feature image by Suad Kamardeen via Unsplash.